Wow! That is all I can say after watching Lily Frost in action. Tuesday, June 25th was a hot, sticky day in Toronto. It was over 30 degrees Celsius with high humidity. This was not the best day for intense physical exercise. But there I was, walking at a brisk rate, heading for the outdoor stage in the Shops at Don Mills mall. 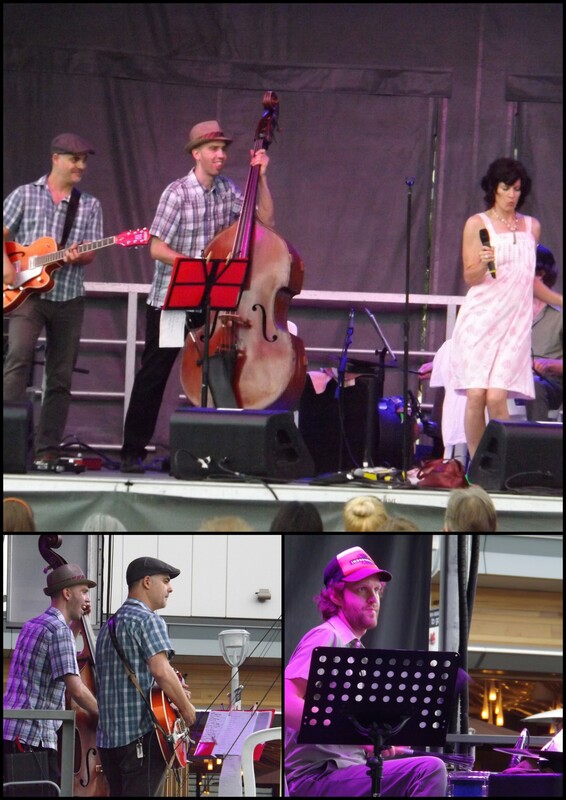 One of Canada’s best jazz artists, Lily Frost was performing that night for the 2013 Toronto Jazz Festival. Her music has been described by the New York Music Daily as “catchy, edgy, eclectic, intelligent.” A light drizzle came down during her show, but we were all hooked by then, no one left. Jazz on the green grass, fancy restaurants, chic shopping, a great combination. What a relaxing evening.